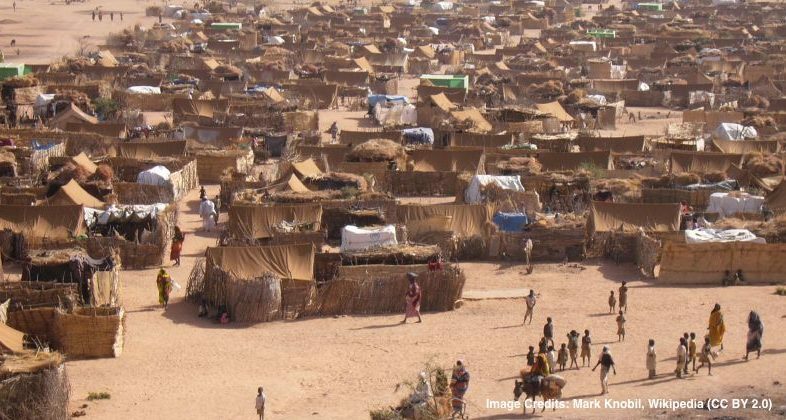 13 Nov ICT solutions for humanitarian missions: can new technologies understand different cultural contexts? The humanitarian community is on the cusp of a technological revolution, with new ICT solutions being developed and implemented in the every-day work of humanitarian organisations. Although these new technologies have been created and are deployed by humanitarian organisations with the best of intentions, there have been instances where the presence and use of such, often experimental, ICT tools, could cause more ‘harm’ than good. For this reason, Trilateral Research has carried out an assessment of the technological tools developed in the iTRACK project as part of its role as Ethics and Privacy lead within the project. iTRACK has been funded by the European Commission under the H2020 Secure Societies Programme, to improve the protection of humanitarian personnel as well as the assets of humanitarian, public or private organisations through an integrated socio-technical tracking solution which will support threat detection, navigation, logistics and coordination in humanitarian disasters. Social and cultural differences are considered as related to the habits, beliefs and traditions which characterise a society. Such necessary considerations include gender issues, social impact, liability, trust, and religious and cultural issues. Trilateral Research evaluated the social and cultural considerations for the future development of the iTRACK system. This evaluation of the technology consisted of a literature review and interviews with key stakeholders and culminated in a report that puts iTRACK technology at the forefront of responsible innovation. In fact, these aspects are rarely investigated when deploying ICTs in the humanitarian field. Among its findings, Trilateral identified that many workers may feel that the tracking system is a significant invasion of their privacy and directly impacts their ways of working. This is particularly problematic in a humanitarian context where the environment is unpredictable and volatile. In fact, in humanitarian missions, humanitarian workers often make unplanned detours or lengthy stops for a variety of different reasons which could be incredibly influential to the success or failure of the mission. However, the humanitarian organisation, which is tracking the convoy’s journey through iTRACK may not necessarily understand the cultural context and nuances and thus, the need for such pit stops or diversions. This divide and often tension between humanitarian workers who are on the ground and other actors at headquarters is something which is not new to the humanitarian field. There are often disagreements on procedures and ways of operating. The introduction of new technologies, however, has the potential to exacerbate this issue. As Trilateral’s evaluation pointed out, however, there are other components within iTRACK that may allow for the unexpected diversions, and the reasons behind these, to be successfully communicated to Mission Control Rooms. Trilateral’s report outlines several other issues related to the implementation of iTRACK and its multiple components, revolving mostly around the issues of safety and security, privacy, trust and transparency. Other issues are also considered such as reliance on technology and potential misinterpretations. The report concludes that many of these issues are already present due to existing technologies. In fact, some stakeholders interviewed as part of this evaluation expressed an indifference to being tracked, stating that tracking is already possible through mobile phones and other devices. The fitness tracking app, Strava, for instance, revealed the location of undisclosed military bases in Afghanistan, Djibouti and Syria. Other stakeholders even expressed a desire to be tracked more, in order to improve accountability and liability issues. Trilateral believes that before the implementation of new technologies, understanding the potential social and cultural effects should be at the forefront of the work done by designers, developers and humanitarians. These require critical questions to be posed not only about the risks, biases, and negative consequences of bringing new technologies into practice, but also a deep understanding of the novel opportunities, openings, and promises that develop with its implementation.